Over the last couple of years I've had the same photo set as the wallpaper on my desktop. After catching the above photo on archdaily.com, it was pretty much a no-brainer that it had to change. 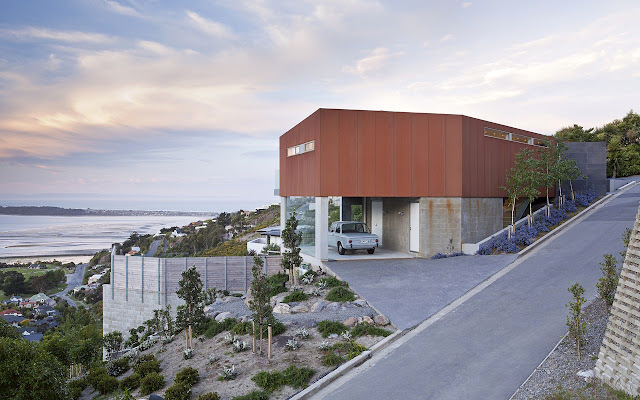 I'm just loving the juxtaposition of this New Zealander's modern home and vintage BMW 2002. 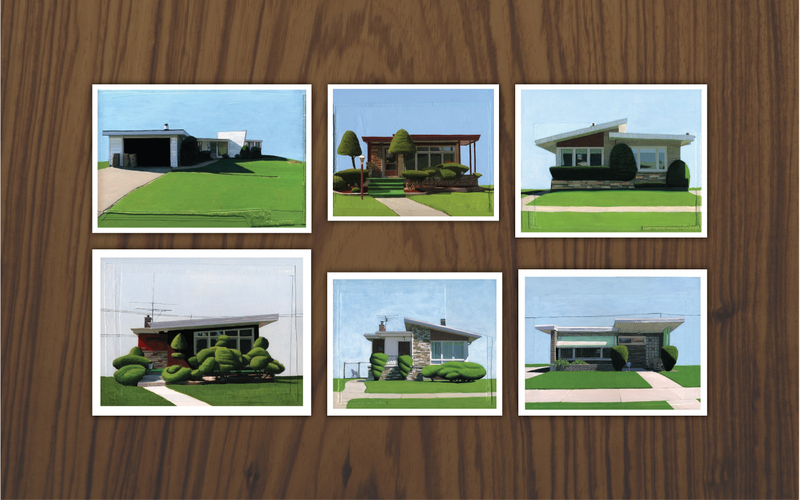 My previous wallpaper was an image I created based on Leah Giberson's paintings of mid-century modest homes. I must say that either pic makes for a very pleasant background. Feel free to click on either pic for a wallpaper res version, enjoy!